Food has played an important role in Jewish American lives since the first Jews arrived in New Amsterdam in 1654, most from Dutch colonies in Brazil. During the Colonial period (1620–1776), Jews adapted their cooking to the foods grown regionally in their new homeland. They learned to use corn, beans, and fish, such as salmon, herring, and cod. However, they continued to observe the Jewish dietary laws, or Kashrut (see section 4: Food For Religious and Holiday Celebrations). 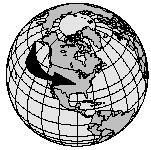 The second wave of Jewish immigrants (1830–1880) came mostly from Germany. Many settled in the Midwest, bringing with them their food traditions. They were known especially for their baked goods. Cincinnati, Ohio, the primary center of German Jewish culture, was also the home of Fleischmann's yeast and Crisco, a vegetable-based shortening that met Jewish dietary restrictions. 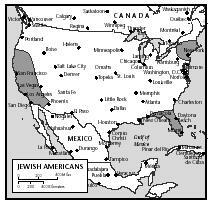 The states with the largest populations of Jewish Americans are New York, California, and Florida. packaged food are kosher. 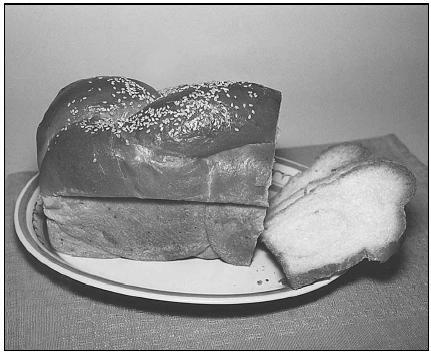 Foods associated with Jewish Americans, like bagels, lox (smoked salmon), cheesecake, and corned-beef sandwiches, became popular among the general public. In the late twentieth century, the trend toward lowfat and easy-to-prepare recipes has influenced Jewish American cooking. Many foods that Americans have come to regard as Jewish originated in Eastern Europe, where most Jewish immigrants came from during the first half of the 1900s. (Eastern European Jews were also called Ashkenazim.) The cooking of this region was generally simple and hearty. It contained plenty of fat but was not highly spiced. Main dishes were usually meat or poultry based. Because of the Jewish dietary restrictions (Kashruth), no pork was eaten. The restriction on serving meat and dairy products at the same meal gave rise to a set of traditional dairy dishes including blintzes, cheesecake, and noodle pudding. Both meat and vegetables were cooked until thoroughly done—vegetables were cooked until they were limp. Famous Jewish foods that came out of this tradition include chicken soup, matzo balls, latkes (potato pancakes), chopped liver, gefilte fish, cholent (beef and barley stew), kneidlach (dumplings), and borscht (beet soup). Certain spiced meats and fish, including corned beef, herring, and lox, are also associated with Ashkenazic Jewish cooking. In the last decades of the twentieth century, Jewish American cooking branched out from its Ashkenazic roots. Jewish cooks adapted their recipes to make them lighter and lower in fat. The Middle Eastern food traditions popular in Israel began to influence Jewish American food as well. Foods such as felafel and hummus became more closely identified with Jewish cooking. In addition, there was a new level of interest in Sephardic Jewish traditions from Spain and North Africa, as well as other parts of the world. In a large pot, add the chicken and enough water to cover. Bring the water to a boil. Add the vegetables and reduce heat to medium. Simmer for an hour, stirring occasionally. When the soup is done, remove the chicken and vegetables onto a plate with a slotted spoon. Throw out the celery and onions; cover and refrigerate the rest. Pour the soup through a strainer or colander into a large bowl or other container. Skim the fat off the top before heating and serving. Serve soup with noodles, rice, or matzo balls. Garnish with chopped parsley leaves if desired. The chicken can be eaten hot for dinner or cut up and used in chicken salad or other recipes. Heat the oil over high heat in a large skillet. Sauté the onions until they start turning brown, about 5 minutes. Add the chicken livers to the sautéed onions and cook, tossing the livers occasionally until cooked through and firm, about 5 minutes. Combine the livers, onions, and sliced eggs in a food processor, or chop with a knife until the texture is even but not mushy. Season with salt and pepper. Serve with crusty bread, matzo, or other crackers. Bring a large saucepan of lightly salted water to a boil, add the noodles, and boil until al dente (done but still chewy), about 5 to 10 minutes. Add the margarine, apples, and raisins and mix well. Add the eggs, season with salt, and mix well. Bake until the top is brown and crisp, about 35 to 45 minutes. Remove from the oven and serve hot or cold, cut into squares. Challah, a rich braided bread, often accompanies the Friday night Shabbat (sabbath) dinner. Jews throughout the world have a detailed set of dietary restrictions called the laws of Kashrut. They are based on passages found in the Old Testament of the Bible. Food that follows these restrictions is called kosher food. While many Jewish Americans observe these laws (or "keep kosher"), many others do not. Jews who keep kosher may not eat pork, pork products, or shellfish. The meat they eat ("kosher meat") must be slaughtered and packaged according to special guidelines. Meat and dairy products may not be eaten or cooked together. Foods such as vegetables, fruits, grains, and eggs are considered parve, meaning they can be eaten with either meat or dairy products. Jews who keep kosher also have separate sets of dishes and cooking utensils, one for meat and another for dairy products. The Jewish religion also specifies several days of fasting throughout the year. This means Jews do not consume any food (or sometimes beverages) on these days. The most important is Yom Kippur, or the Day of Atonement, in the fall. Many Jewish Americans fast on this day. Passover is an eight-day holiday during which Jews do not eat bread, baked goods, and certain other foods. Instead of bread, Jews eat a flat (unleavened), cracker-like food called matzo . Crushed matzo , or matzo meal, is substituted for flour in many foods cooked during this holiday. The most important meal of this commemoration is held on the first night of Passover, and is called the seder. During the meal, which includes special foods specific to this holy day, a liturgy is read that recounts the Biblical exodus of the Hebrews from Egypt. The Hebrew word Pesach means "passover." Food plays an important role in many Jewish holidays. On the Jewish New Year, honey cake and apples dipped in honey are eaten for a "sweet year." During the eight-day festival of Succoth in the fall, religious Jews eat their meals in a specially built outdoor booth in their backyards called a "sukkah." 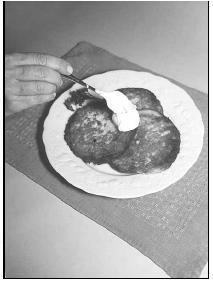 Potato pancakes called latkes are eaten during Hanukkah, the eight–day Festival of Lights, in December. The festival of Purim, in late winter or spring, is celebrated with triangular filled pastries called hamantaschen . Marking the formal entry into adulthood of boys at age thirteen ( bar mitzvah ) and girls at age twelve ( bat mitzvah ), Jewish Americans celebrate with a lavish party following a religious ceremony. The child who has attained this status, is considered ready to participate fully in the ritual days of fasting of the Jewish calendar. Combine the potato and onion in a large mixing bowl. Stir in the flour, eggs, salt, and pepper. Heat about ⅓ cup oil in a large skillet over medium to high heat until very hot. Drop heaping tablespoons of the mixture into the oil and flatten with the back of the spoon. Fry, flipping once or twice, until crisp and brown on both sides. Oversized potato latkes, topped with a dollop of sour cream, make a filling brunch, lunch, or light supper dish. Charoset is a traditional Passover food that has a symbolic role in the ceremonial Seder meal. Combine all the ingredients, using only as much wine or water as needed to hold the mixture together. Serve in a bowl or roll into 1-inch balls and arrange on a serving plate. Place the carrots in a saucepan, add the water, and cook, covered, until tender, about 10 minutes. Add the apple wedges during the last 5 minutes of cooking time. Drain and pour the mixture into a lightly greased 2 ½-quart casserole dish. Add the raisins, brown sugar, salt, and pepper. In a small bowl mix the orange juice and potato starch until smooth. Pour over the carrot-apple mixture in the casserole dish. Place small pieces of margarine on top. Matzo balls can be kept 2 days in their cooking liquid in a covered container in the refrigerator; reheat gently in cooking liquid or soup. In a medium bowl, lightly beat the eggs with oil. Add the matzo meal, salt, and baking powder and stir until smooth. Stir in water. Let mixture stand for 20 minutes so that matzo meal absorbs liquid. Once matzo ball mixture is done, bring 2 quarts of salted water to a boil. With wet hands, roll about 1 teaspoon of matzo ball mixture between your palms into a ball; mixture will be very soft. Set balls on a plate. With a rubber spatula, carefully slide balls into boiling water. Cover and simmer over low heat for about 30 minutes, or until firm. 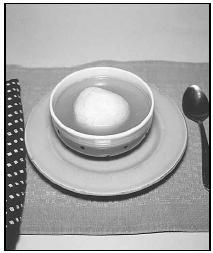 Matzo ball soup from a delicatessen, where the matzo balls are the size of tennis balls. Most home cooks prepare matzo balls that are smaller than this one, and serve two in each bowl of piping hot chicken broth. Break the matzo into medium-sized pieces. Put them in a small bowl, cover with boiling water, and let them soak until soft. Add the pieces of matzo to the beaten egg, stirring once or twice to coat. Season with salt. Melt a pat of butter in a small or medium skillet and pour in the egg mixture. Cook both sides over medium heat until the bottom is golden brown (lift and check periodically). Another pat of butter can be placed underneath the matzo brie. Turn off the heat when the bottom starts to brown. Serve with jam, syrup, or a topping of your choice. Most Jewish Americans observe the same mealtime customs as other Americans in the regions where they live. They generally eat three meals a day, and dinner is usually the main meal. The most special night of the week for observant (religious) Jews is Friday, when the Sabbath is welcomed. In many Jewish households, two candles are placed on the dinner table and lit at sundown as a special prayer is said. A glass of wine and a loaf of challah (a special type of bread) are also placed on the table and blessed. A traditional Friday dinner often consists of chicken soup, an appetizer, a chicken or beef main dish, a variety of vegetables, coffee or tea, and dessert. In Orthodox households, family members pray before and after meals. No cooking is done on the Sabbath (Saturday). Foods eaten on Saturday must be prepared the day before. At festive gatherings, such as weddings, Orthodox men and women are seated at separate tables. To make the crust, in a large bowl, thoroughly blend the crumbs, sugar (if using), and melted better. Spoon the mixture evenly into a 9-inch springform pan until halfway up the sides and press down firmly. Refrigerate for at least 15 minutes and then bake until set, 10 minutes. Set aside to cool completely. To make the filling, beat the sour cream and 1 Tablespoon of the sugar in a bowl. Add 1 teaspoon of the vanilla extract and beat until well blended. Set aside. In another bowl, beat the cream cheese with the remaining 1 cup sugar until light and fluffy. Beat in the remaining vanilla extract. Bake until the center is set and the top is golden brown, about 50 minutes. Remove from the oven. Spread the prepared sour cream mixture on top and return to the oven for 5 minutes to become firm. Let cool, cover, and refrigerate for 24 hours. Remove herring from jar and chop coarsely. Combine all ingredients together in a mixing bowl, adding herring last. Serve with bread, crackers, bread sticks, or cut-up raw vegetables. Jewish Americans, like Americans of every cultural and ethnic background, have become increasingly concerned about developing healthier lifestyles. Many Jewish Americans seek out ways to lower the fat and cholesterol in their diets. For Jewish Americans who observe the Kashrut, eating in restaurants and while traveling may require advance planning. Airlines offer kosher meals, although they must be ordered in advance. Likewise, many hotels will prepare kosher meals for guests who request them. Ashkanazi-Hankin, Gail. Festivals of Lite Kosher Cookbook . Gretna, LA: Pelican 1999. Brown, Michael P. The Jewish Gardening Cookbook: Growing Plants and Cooking for Jewish Holidays and Festivals . Woodstock, VT: Jewish Lights, 1998. Brownstein, Rita Milos. Jewish Holiday Style. New York: Simon & Schuster, 1999. Cohen, Jayne. The Gefilte Variations: 200 Inspired Re-creations of Classics from the Jewish Kitchen, with Menus, Stories, and Traditions for the Holidays and Year-round . New York: Scribner, 2000. Fiedler, Seymour. The Beginner's Kosher Cookbook . New York: Feldheim Publishers, 1997. Levy, Faye. International Jewish Cookbook . New York: Warner Books, Inc., 1991. Nathan, Joan. Jewish Cooking in America. New York: Knopf, 1998. Zoloth, Joan. Jewish Holiday Treats. San Francisco: Chronicle Books, 2000. The Best of Jewish Cooking. [Online] Available http://www.foodbooks.com/jewish.htm (accessed April 2001). Judaism 101: Jewish Cooking. [Online] Available http://www.jewfaq.org/food.htm (accessed April 2001). I would bake it with spices that cmmeliopnt your enchilada recipe, maybe even put slices of bacon on top to keep it moist while adding flavour or if you preferred, you could boil it, probably the healthiest choice, but I don't think it's the tastiest EDIT: Baking time would vary depending on whether it is a whole chicken or pieces. I usually cook at 350 for about 30 minutes if I'm using boneless chicken breasts and around 45 minutes if they have the bone in. If it's a whole chicken, I cook it until the leg moves freely and the juices run clear. Was this answer helpful?